The question of “why” has always intrigued me more than “what” or “how”. While “what” and “how” demonstrate a repeatable process, “why” reveals someone’s intentions and motivations. And let’s be honest, long after a person’s “how” has been exhausted, their “why” keeps them fighting for a cause. In the article below, J’Ribs explains why he fights for the Gallente Militia. I’ve been playing EVE since 2009. Stupidly, I biomassed two fairly advanced players in 2010. Yet Eve keeps me coming back, and where am I, to stay? Gallente Militia. Why? What are the reasons? Well, I’m a 46-year-old single gamer. I’ve done a fair bit in Eve that is solo. I wasn’t always in the Gallente Militia. Losing more Domi’s after I joined the resident alliance there (Demon Hunters) than when I was solo. Spending way, way, WAY too long learning to Solo PVP.. and still learning. So… yeah. I’m a solo player. I do like the corporate chat, and I do join fleets, at least occasionally. But militia is different. Militia welcomes solo players with open arms. If you’ve ever spent time in a big alliance, you’ve probably wondered where a lot of the money goes, and whether your efforts really made a difference. Most people who spend time in an eve corporation will sit back and wonder if all the time they are spending on corporate goals are going to enrich them in any way. Militia isn’t like that. A system captured, flipped or saved can’t be exploited by the upper management quite so easily. Donate LP to get to a higher tier? Everyone, including you, benefits. You see the relevant meters rise the moment after a plex is captured, or you donate. Best of all, even if you are all alone and your corp mates are sleeping, you can deplex a system, at least a little. You can offensively plex too. Plexing is almost like gate camping with a built-in salary from the LP! You can run the weaker enemy plexers out, solo. If you have to run… it’s harder to get caught in lowsec. No bubbles, and empire is just a few jumps away to re-ship or drop off the spoils of war. Fights aren’t always to your advantage. Many times you’ll see an Incursus waiting outside your plex, only to find he was waiting for backup… an EWAR frig and a Dramiel. It’s disheartening to run from such engagements, but Eve’s brilliant gameplay mechanics show that there are ways to split the offenders and pick one or two of them off… sometimes. It’s cheap, without the lolpvp of RvB. Just this week I had a 2 to 1 kill ratio in an executioner. Cost? 8 million. Defending a single novice plex would pay that back. One thing that I would strongly suggest is for FW newbs to get into a FW corp. There are more than a few of them, and almost all are noob friendly and turn a blind eye to kill board losses. If you haven’t decided, might I suggest my corp? Eleutherian Guard is a long lived, RP-light Gallente Militia in the Villore Accords Alliance. 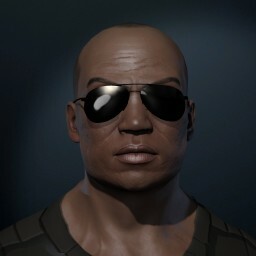 Funny thing: Whenever I’ve left eve, it’s not the game that’s brought me back, it’s the corp and the people. I find the people in Gallente Militia to be among the best. Funny, without being stupid. Serious, without being stern. Skilled without being obsessive. Chat me, or our CEO Desra Mascani in the channel Eleutheria for more information.